Published November 20, 2013 at 650 × 410 in What’s New? ADJ Holiday Show at Youth in Arts! 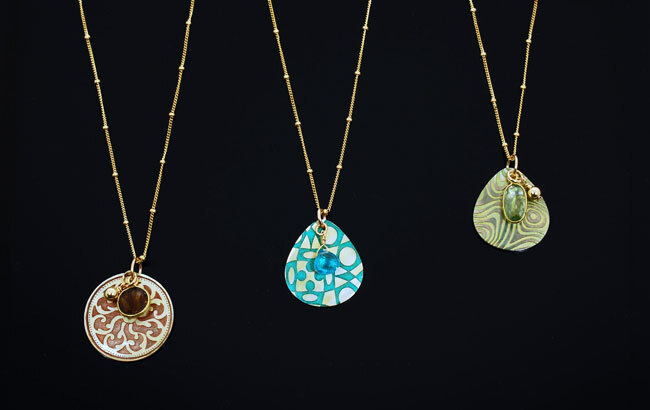 These distinctive laser etched shells are simply accented by beautiful sparkling gemstones. Smokey quartz (L), blue apatite (C) and green amethyst (R). 17″ long, 14K GF chain.